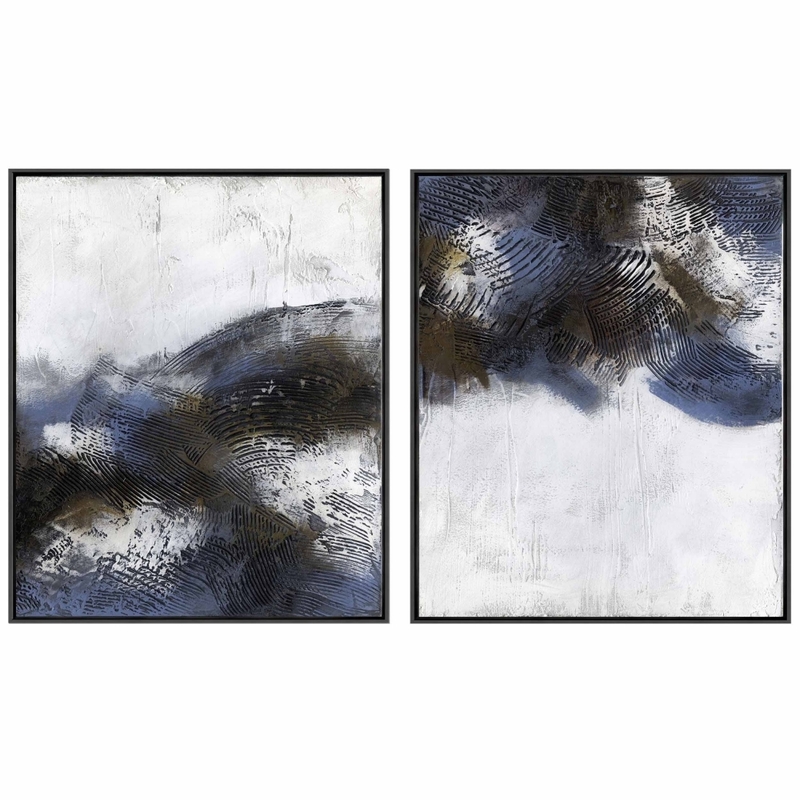 Hand-painted on stretched canvas, this exquisite piece combines tones of deep blue with brass accents and grey undertones. Inspired by waves in motion, Paleck focuses on movement and texture to create abstract shapes and patterns. Paleck by Quintessa has a subtle quality that will add a pop of sophisticated colour into any home interior. Whether placed in a home office, living space or dining room, it promises to add instant interest to a contemporary space. Mounted in an “L” shaped frame. Make an enquiry for more information.